Residents at The Mansions of Georgetown enjoy designer homes built with luxury in mind. Our meticulously crafted one- to four-bedroom townhomes deliver a world-class living experience with polished styles and deluxe amenities. Tall, expansive windows and vaulted ceilings allow residents to bask in the natural light and enjoy the openness of our spacious floor plans. 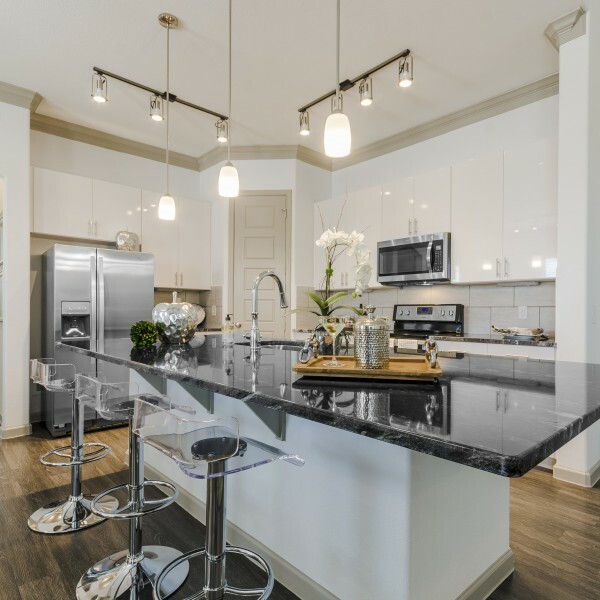 Sleek, chrome fixtures; beautiful, luxury wood flooring; elegant designer, chef-inspired kitchens; and more all work in concert to bring our residents a chic, contemporary, and unrivaled living experience in Georgetown, TX. Each brilliant amenity cultivates a legacy of luxury for each resident. Browse our photo gallery and amenities page for a look at the complete package. Apply today to reserve your spot in our unparalleled community!